Most people don't realize how unhealthy most energy and pre-workout drinks can be. 99.9% energy drinks and pre-workout drinks on the market are not healthy and are not built on the ethics of good nutrition for the body. Most contain sugar, fillers, artificail flavors, color dyes and contain ingredients that are toxic to your body. 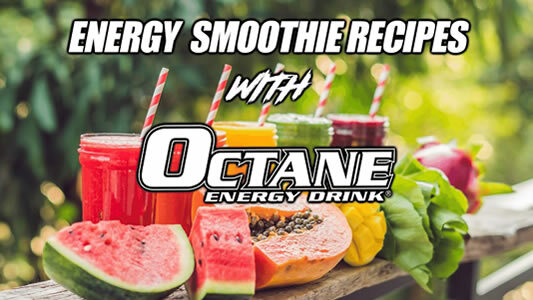 Below are some of the things you never want to find in an energy drink and we are proud to say, you won't find any of these in OCTANE Energy Drink™.. OCTANE Energy Drink was built on the ethics of Good Nutrition! Most companies use artificial flavors because they are less expensive than natural flavors. However artificial flavors are not safe. Artificial flavors are often comprised of multiple chemicals, some of which are toxic. However the FDA does not require stating the exact ingredients for flavors, and allow manufacturers to simply state "Artificial Flavors" on the label. Many companies products contain artificial coloring (food dyes) which are unhealthy for human consumption. Many of these colorings have been connected to ailments such as Attention Deficit Hyperactive Disorder (ADHD). They are unnatural, difficult to digest and process, and have even been linked to certain cancers. You want to say way from any product that contains Blue 1, Blue 2, Red 3, Yellow 6, which have all been found to cause tumors in Lab Rats. This is the substance that causes the soft drink to fizz. This being an acid, phosphoric acid "burns" your intestines but more importantly can upset your body's delicate phosphorus-calcium balance. Calcium can be released from the bones to restore proper pH balance in the blood. As a result, the presence of phosphoric acid can lead to the weakening of the skeletal structure and can cause osteoporosis. So the next time you reach for that canned soft drink, sparkling water or canned energy drink, we highly encourage you to think twice. Think about what that acidic liquid will be doing to your internal environment. Also note the side effects you can feel when you consume carbonated drinks: one is that bloated uncomfortable feeling and two is the unwanted water retention that will mess with that lean physique you're after. If you have the choice, go with good purified drinking water which will replenish and revitalize your body! ProSport Nutrition will not add FILLERS to our products like other companies do. Don't be fooled by Hype or Illusion! Most pre-workout powders on the market today are not as healthy for you as you think and contain fillers. The main filler companies use is Maltodextrin (also know as Glucose Polymers) and Dextrose which will cause your Insulin levels to soar, and can cause you to put on fat weight. You ask how this is? Well maltodextrin has a very high glycemic index rating of 105 which is way high on the GI chart. To let compare, Glucose is numbered 100 on the GI chart and table sugar is numbered at 65 to 68 on the GI chart. This high number of 105 of maltodextrin will cause your insulin to shoot through the roof and put your body into fat storing mode. Maltodextrin is worse than pure sugar! What?s really bad is maltodextrin is found in large quantities ranging from 5 to 12g per serving in a lot of the top selling pre-workout bodybuilding products. So if you were not born with that "genetic lean body" and are trying to get lean, you will not want to consume products that list maltodextrin in their ingredients. Why do companies add Fillers (Maltodextrin also know as Glucose Polymers and Dextrose) to their products? It's simple; the industry knows the consumer is trained to think bigger is better. So companies add fillers to expand their powder base so they can package their powder blend into a bigger container to deceive you the customer into thinking you're getting more product for your money. Not True! Also note: some companies go so far disguise maltodextrin on their label by listing it as "glucose polymers". So be cautious of this as well when reading the supplement facts / nutritional facts panel. Carbonation is created by pumping carbon dioxide into water or other liquid. Carbon dioxide is a waste product of cellular and food metabolism, and as such the body wants to expel it. So now you are in effect further adding a waste product to your body! Carbonated beverages also burden to the body by weakening stomach acid, thereby interfering with proper digestion. It neutralizes digestive enzymes ? these enzymes are responsible for over 300 complex reactions in the body. Nutritional absorption is seriously compromised by a lack of these enzymes. In addition, minerals are better absorbed in a strong acidic base. Nitrates are also in most carbonated drinks, and they not only inhibit the absorption of nutrients, they cause calcium to be leached from the bones. Since adding bicarbonate to the blood stream upsets the body's chemical balance, it is logical to assume that the common claim of carbonation effecting performance during athletics has some relevance. Athletes are advised to not drink carbonated beverages because it decreases optimal performance. Why Not To Drink Carbonated Drinks. 1-3 as we call it internally, is not in OCTANE Energy Drink™. After the ban on Ephedrine Alkaloids in the mid 2000s, the supplement industry was looking for a potent alternative, and this is how 1-3 came about. However 1-3 quickly got a reputation for being another version of SPEED, and had very negative side effects in higher dosages. 1-3 has been banned by the NCAA, and was added to the 2010 World Doping Agency prohibited list in 2009. Its also on the FDA watch list to be banned. 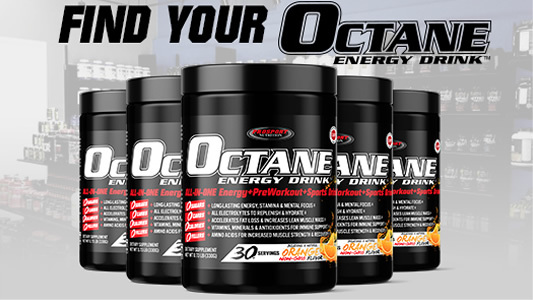 Octane Energy Drink does not contain any banned ingredients. DMAA has been linked to a range of health concerns, including increased blood pressure, headaches and vomiting. However, severe cases of cerebral haemorrhage or stroke have also been reported. We don't put creatine in OCTANE Energy Drink™ because it can cause water retention in the muscle which will not give you that toned look you're after. We recommend if you're going to use creatine, take it in small amounts of 1g to 2g with your post workout meal and only on the days you train. 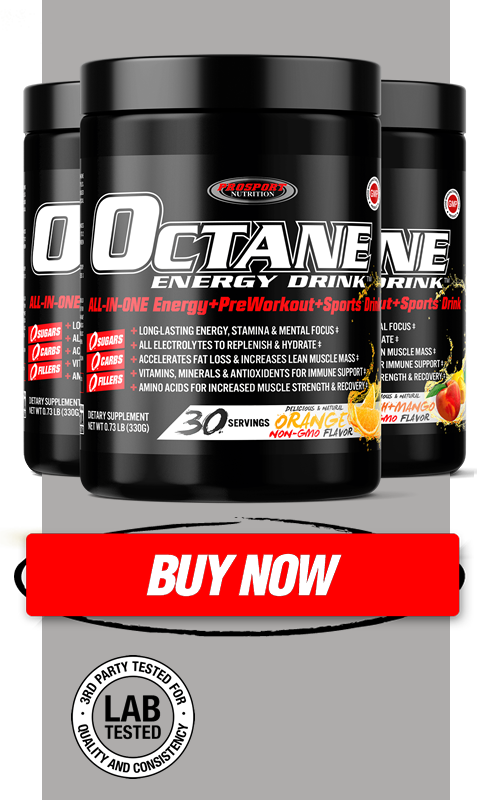 OCTANE Energy Drink™ was built based on clean nutrition for all athletes to use to promote optimal health and performance.